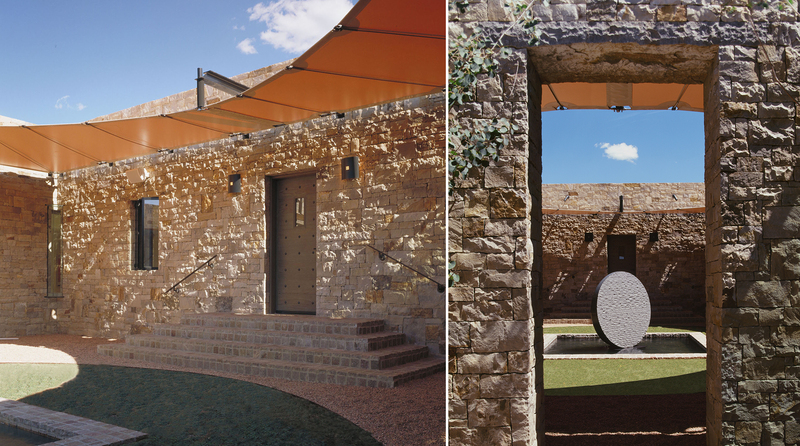 The courtyard was to be a focal point: meditative, protective and quiet, in contrast to the outdoor areas along the ridge. 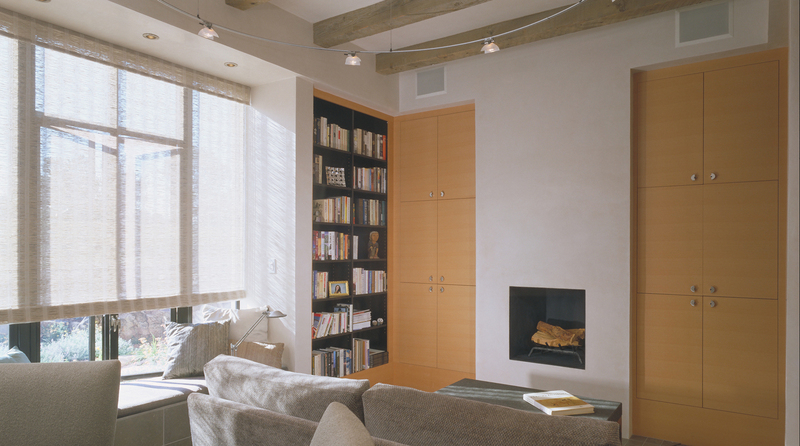 Views were to be revealed subtly, gradually. 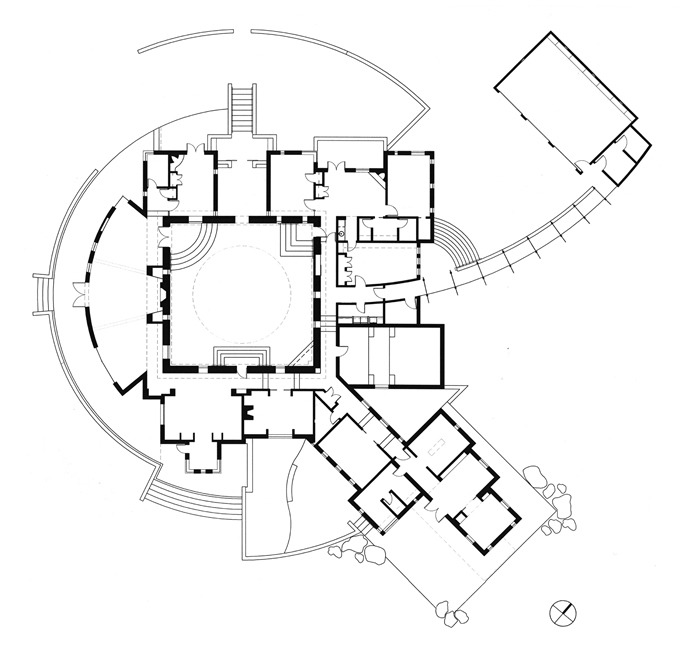 The house was to appear rooted in the earth, with lots of light. 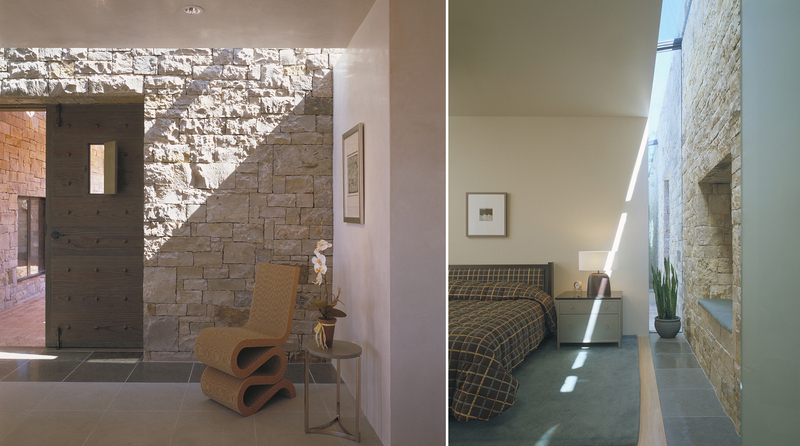 All of the design elements were determined with the idea of light being a form-defining element. 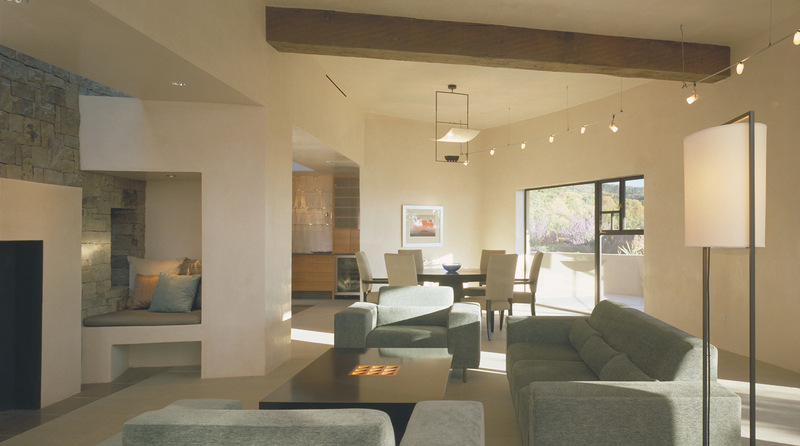 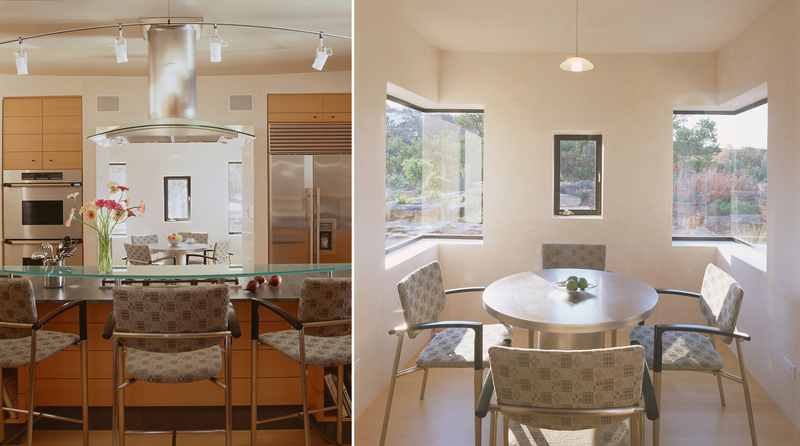 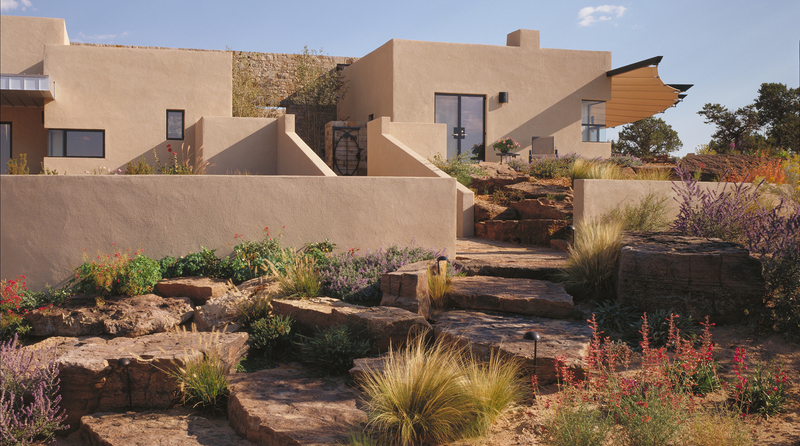 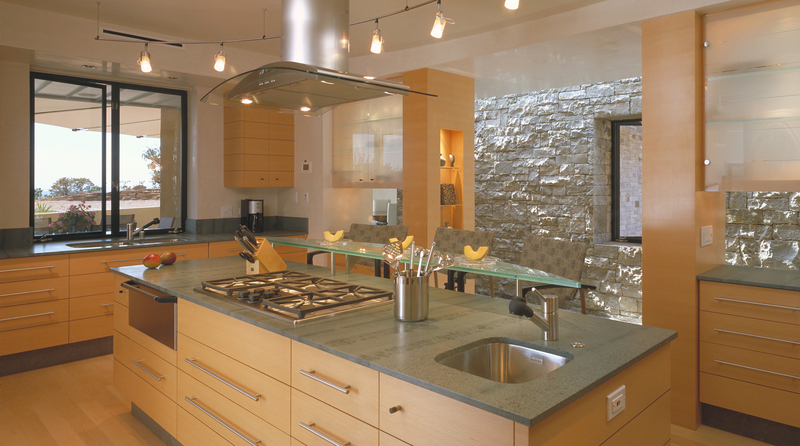 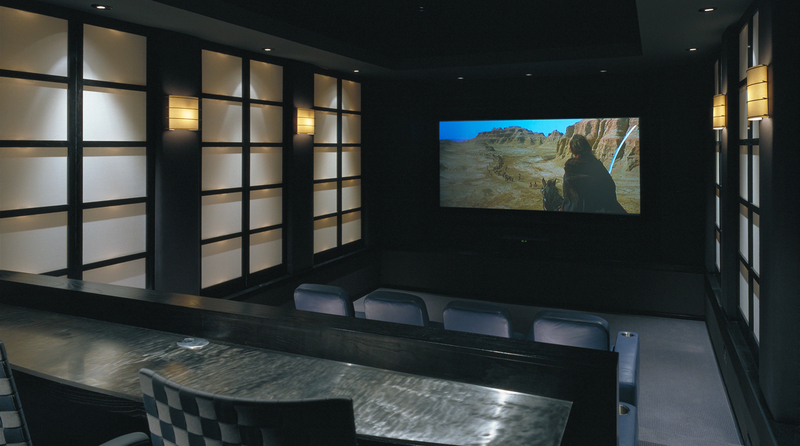 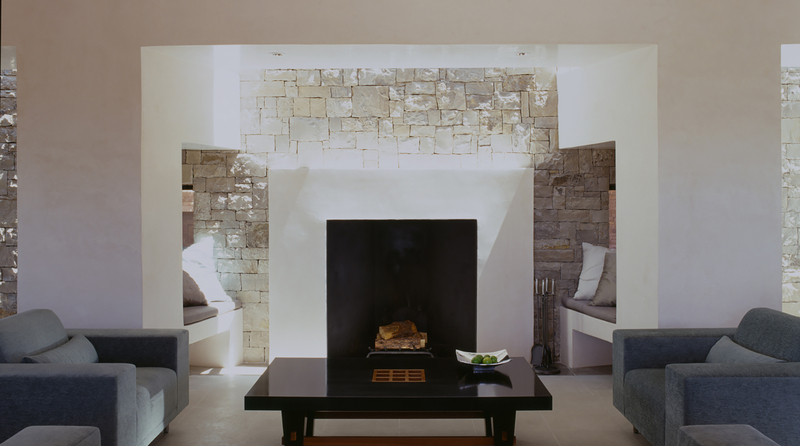 This approach is complemented with an aesthetic that takes the Santa Fe style and integrates a Zen like simplicity to the range of materials and details. 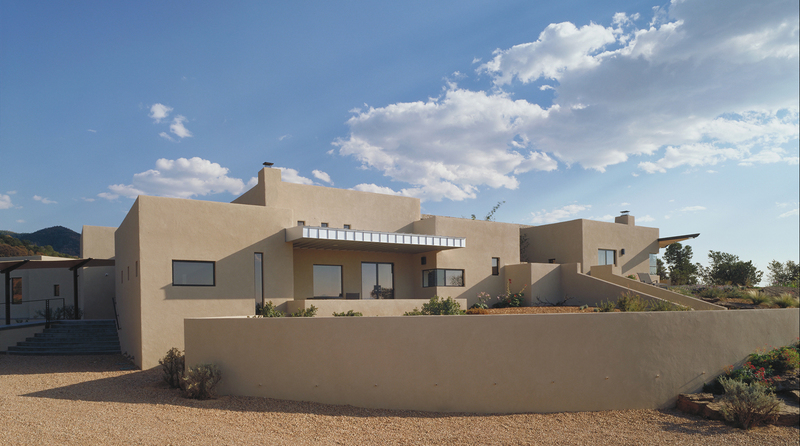 Pure geometric forms established the plan, the use of authentic materials set the tone and nature was abstracted to highlight and contrast the house. 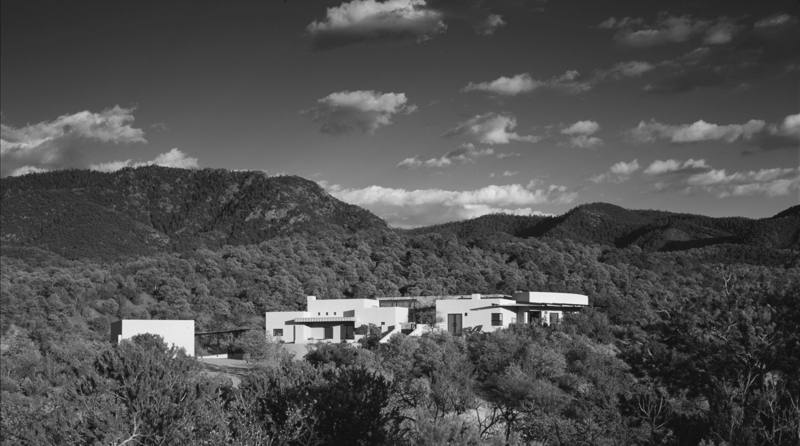 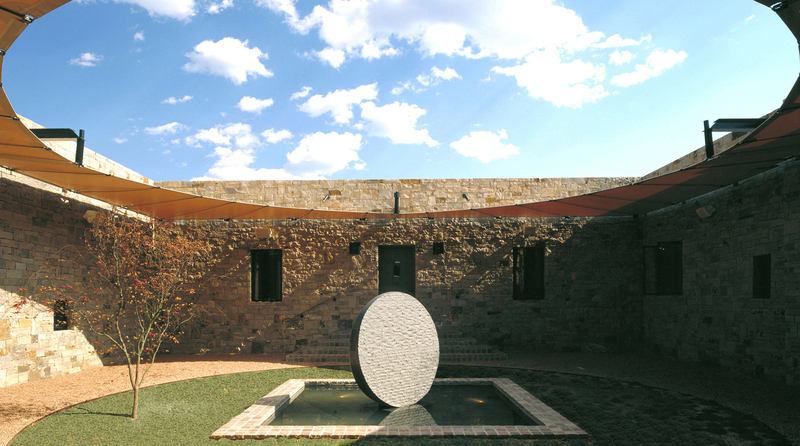 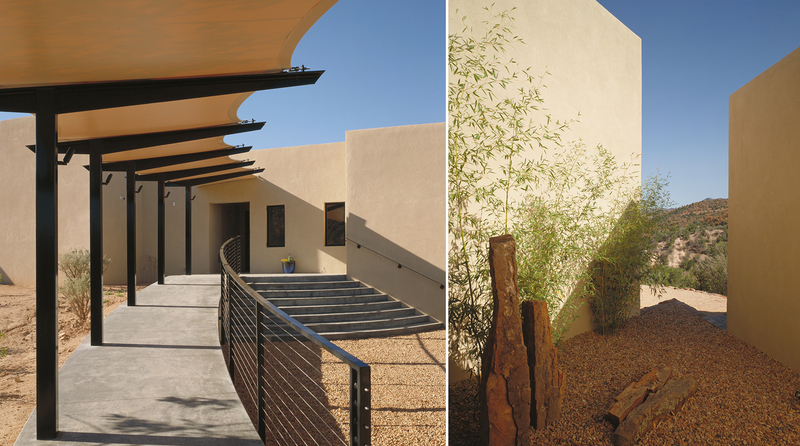 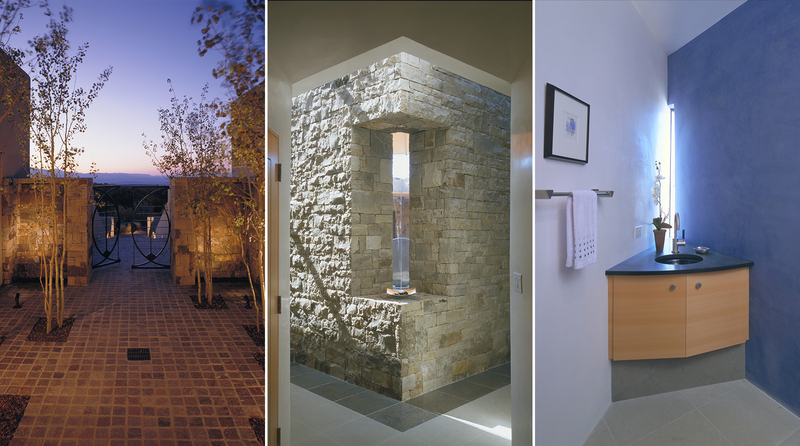 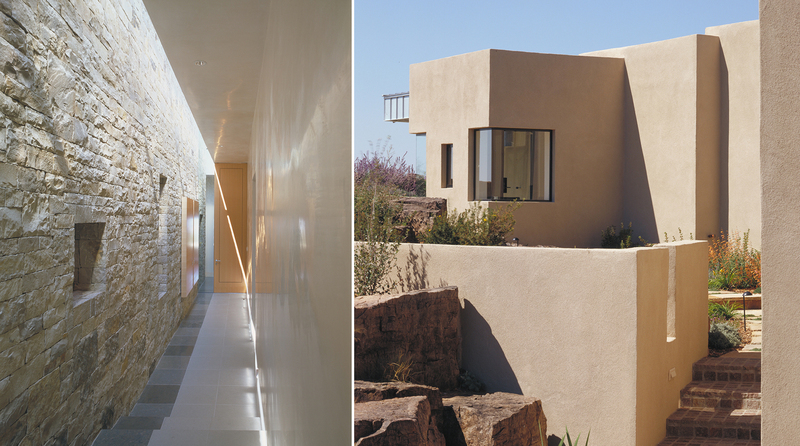 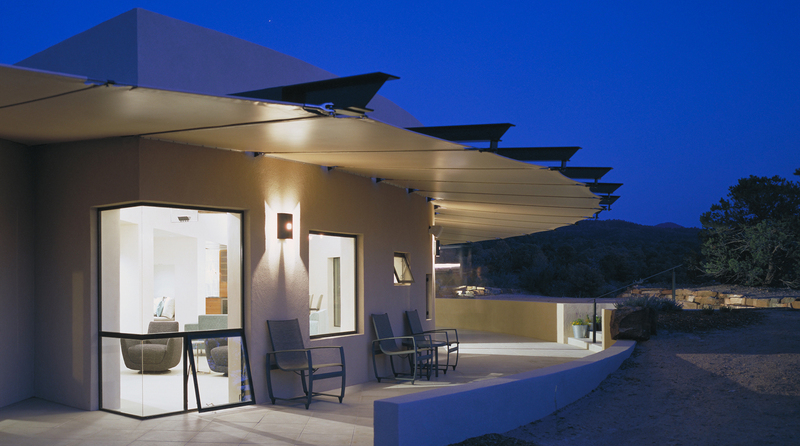 An important aspect of nature is light and in New Mexico, at this site, the clarity of that light is received into a vessel of natural materials that celebrates the restrained expression of craftsmanship.